Manufacturer of a wide range of products which include anti vibrating pad, vibration pad rectangular, anti vibration mounting pads, mounting pads, neoprene pad and sandwich pad. 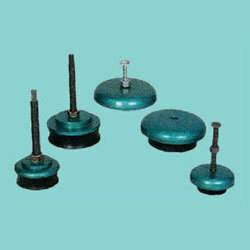 We are a leading manufacturer of Anti Vibrating Pad. These anti vibrating pad provide fixed tolerance on stiffness rate for accurate vibration calculations. Their solid base metal resists high shock loads without deformation. These are fitted as standard with a shock-proof device (up to 4.5 gm) with resilient stop, the shock absorber is ideal for mobile or marine use. 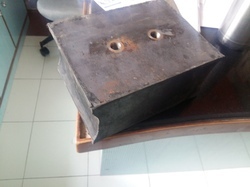 Domed shape cover is used to protect against oil contamination. These anti vibrating pads are Ideal for Diesel Engines, Compressors, Cooling Towers, Pumps, Industrial Generators, Marine Generators, ID, FD Fans. Load range: From 40 to 130 kgs per piece. Manufacturer & Exporter of Vibration Pad Rectagular.. Our product range also comprises of Silicone Gaskets, Silicone Rubber Tubings and Anti Vibration Pads.